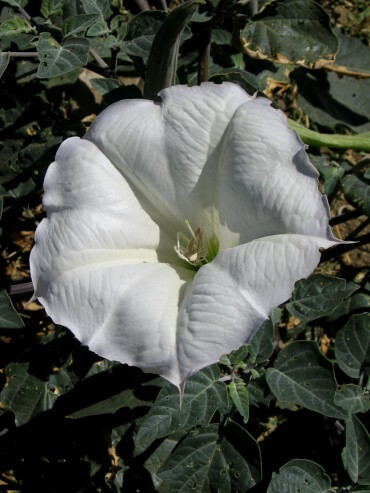 And, too, in empty lots, along the sides of city streets, on the dry hillsides outside of town, you'll see the jimson weed - datura - that are blooming now, too. 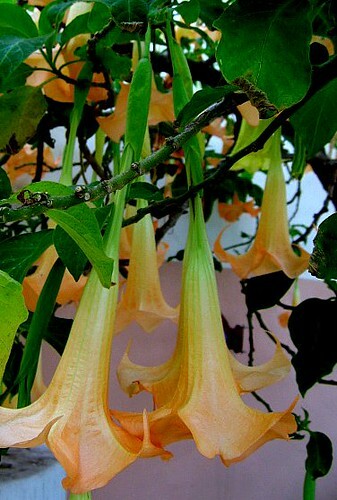 These are the ground-hugging sisters to brugmansia. 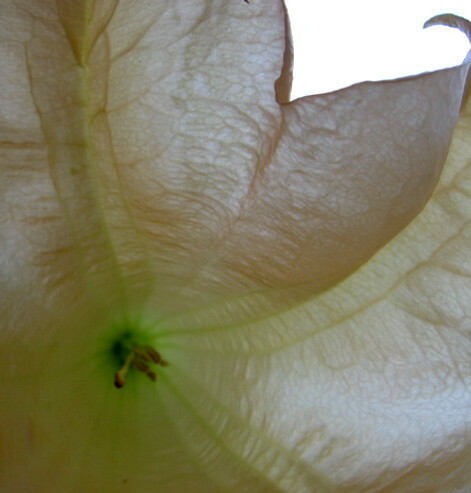 Datura plants spread into wide mats of dull green leaves. Their leaves are not the spring green of new life, nor the forest green of vibrant old growth - but the dull and powdered green of narcotic dreams. 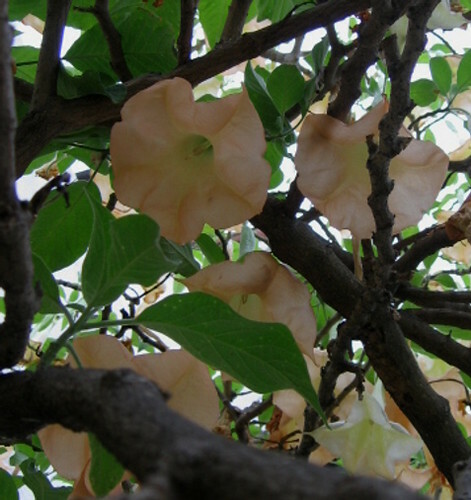 The leaves are topped with bone-white blossoms, 6" - 8" wide. 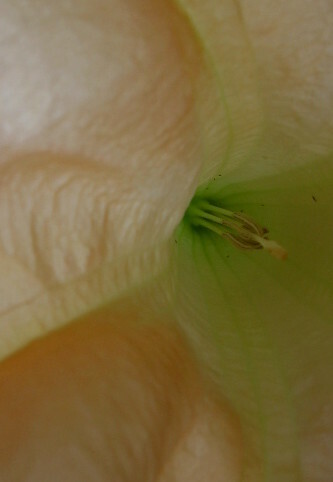 The edges and tips of the flower are tinged with a pale shadow of lavender. 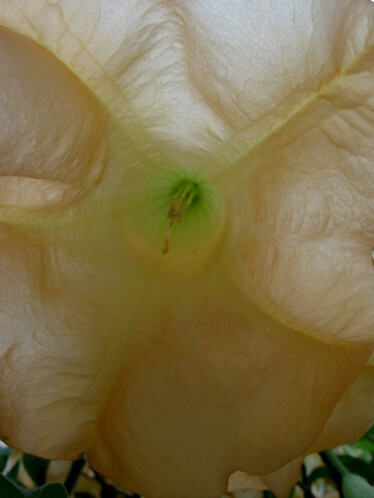 Eventually, the large blossoms wither to reveal their fruit, the aptly-named thorn apple. 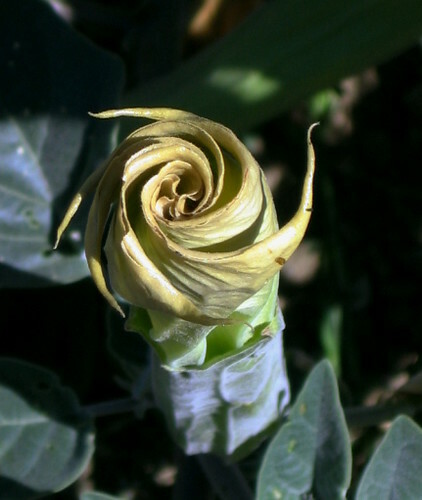 To the Chumash, Santa Barbara's indigenous people, datura, - momoy - was a friend and guide. The plant was referred to as grandmother, and she was one of their wisest and most important teachers. Through prayer and ingestion, momoy taught the people how to maintain ecological balance, to heal, and to explore the spiritual world. But she was strict, and not to be trifled with. She could be deadly. Momoy was also used as a tool in certain initiation rites....her lessons ensured that those who survived the rites were spiritually, emotionally, and physically strong - they were ready to take their place as full-fledged members of society - active, responsible, and wise themselves. 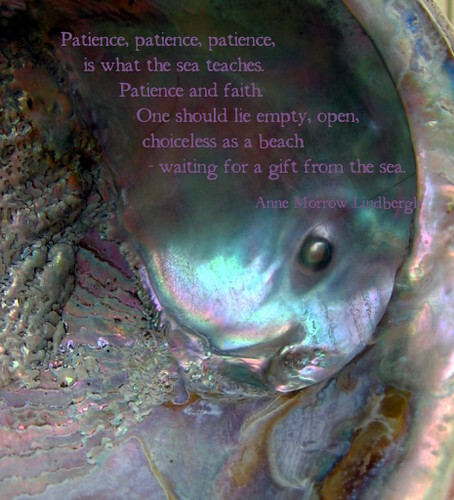 In the olden days, Chumash saw the spirit, mind, and body as inseparable entities....Prayer was the first step...since prayer invites the participation of God....Initiation practices....encouraged young people to develop the maturity and spiritual strength to become productive members of society. 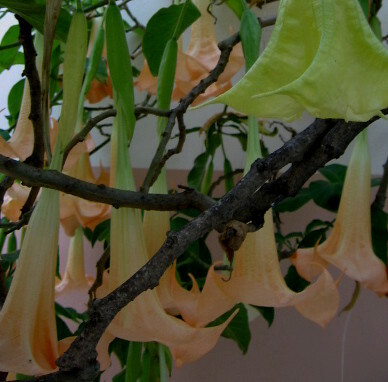 The plant datura, like its cousin belladonna, contains scopolamine and alkaloids that are hallucinogenic, mind- and body-altering, and can potentially enlighten - or, if used incorrectly, can easily kill. 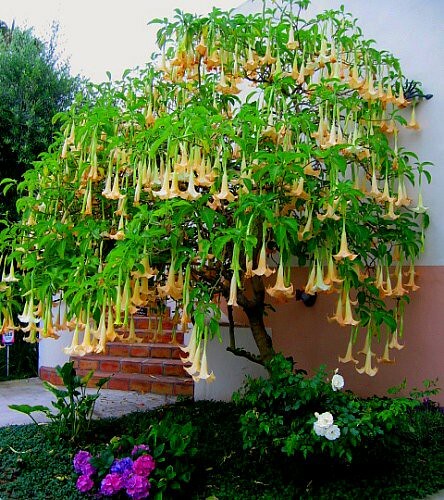 To me, that is part of the charm of these angel's trumpets. And yet it is in the other hand that we find the very recipe for hallucinatory dreams and madness, with only a sketchy path that either leads one back to sanity and wisdom, or to a slow and aching death. The nightshades are plants that seduce, entice, and often ensnare....they are gaudy, beautiful, and demanding to be noticed.